ADD:NO.225 SUHONG MIDDLE RD.,CHINA-SINGAPORE SUZHOU INDUSTRY PARK. 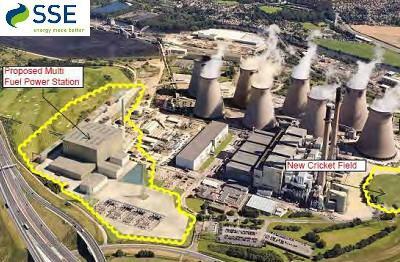 SSE Generation, the wholly owned generation business of Scottish and Southern Energy (SSE) has received consent from the Department of Energy and Climate Change to develop an up to 108MW multi-fuel project within its existing Ferrybridge coal power station site. The facility will use a range of sustainable fuel sources, including biomass, waste-derived fuels and waste wood, to generate electricity and heat. SSE's joint venture with Shanks (3SE) is intended to provide processed waste-derived fuels for use at the facility from nearby Barnsley, Rotherham and Doncaster councils. Enabling works are due to begin in early 2012, with the main construction period commencing in October 2012 and a planned project completion date of early 2015.